This gallery shows pictures of the Bobby Crilly Classic 2015. They are as they were taken with no editing or enhancement as there were just too many to go through. 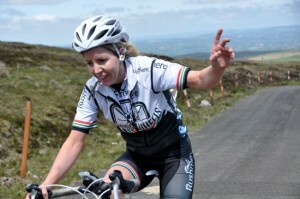 Hopefully it will give you some idea of the race and the climb to Divis. Go West seemed to be the cry last weekend as hordes of Ulster men and women headed for small town of Clifden in Conemara. All were there with a purpose - to complete the 140km Skoda Tour of Conemara. 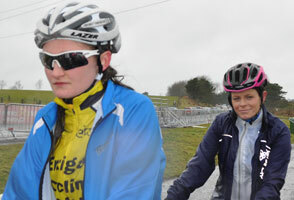 The sun shone and Fermanagh produced hills for this year's Lakeland 2 Day Stage Race for A3 riders. There was a fantastic atmosphere during the event and some hard racing. Jake Gray of the NRPT team held the Yellow Jersey for two Stages but in the end Cameron McIntyre of Banbridge had a terrific last day and took not only the Yellow Jersey but the White Junior Jersey and the Points Jersey. Gray took the most combative jersey. The 2015 Tour of th eNorth International Cycle Race kicked off on Saturday with a seventy mile stage around the Glens of Antrim. The racing was exciting and the stage was eventually won by Gareth McKee of Banbridge. The stage incuded four King of the Hills and this gallery pictures the riders on Shanes Hill and the climb out of Cushendall. All pictures by Marian Lamb. 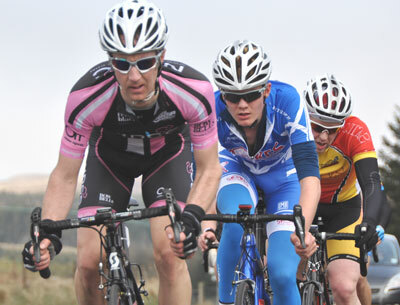 Well done to all at Carn Wheelers for a great promotion of racing for many categories. The A race was taken on the line by Darnell Moore of Caldwell Cycles from Joe McCrory of Carn Whleers and Steven McAllister of Ballymoney. Chris Lawlor of VC Glendale was the winner of the B race. Shenna McKiverigan of Banbridge was best of the women while Michael Tolan of Phoenix CC and Paul Kirk of North Down had a battle for first place. Apologies for the delay in posting the gallery of pictures from the Spires GP but unfortunately I am very busy at the moment and have no time. As a result the pictures in this gallery are 'au naturelle'and have not been cropped or tidied up in any way. I call it 'Men with Dirty Faces'. A few pictures of the great racing at the Women's and Masters events at the McCann Cup 2015 are now online. The Masters race was taken in fine style by Gerry Maguire of Phoenix CC with his clubmate, Seamus Walsh taking second. Errigal's Ciara Doogan showed her sprinting abilitiy when she took the win in the women's race ahead of Eileen Burns of Ballymena. The George Rooney GP was won by David Watson from North Down when he passed his club mate David Hamilton in the closing straight to take the victory and giving North Down two podium places in the A race. This album contains a few photographs of the Travers Engineering Annaclone Road Races 2015. The A race was won by Andrew Bye of Newry Wheelers who soloed home two minutes ahead of Ballymoney's Niall O'Hagan. The B Race was another solo victory this time for Chris McGlinchey of Chain Reaction Cycles. It was a well run event with a great spread of food after the racing. The day was very cold but stayed mainly bright. To see a few pictures of the Ulster Cyclocross Round 7 which took place in Falls Park for the first time click 'continue reading'. 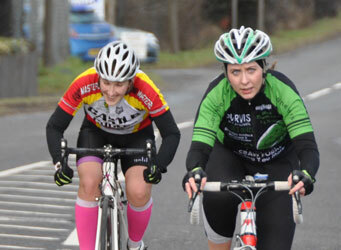 Glen Kinning of Kinning Cycles took the win on Sunday in the Main event from Ray O’Shaughnessy of Cuchulainn CC. Darnell Moore of Caldwell Cycles, was third on this occasion.